Selecting your Primary Provider, the Adoption Service Provider, that will assist you in building your family, is one of the most important decisions that you will make in your lifetime. All adoption agencies are not alike. 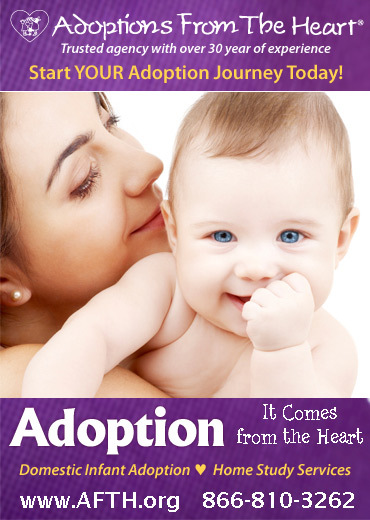 Some handle the entire adoption process, helping you throughout. 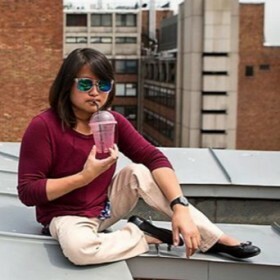 Others expect you to take the initiative to learn about procedures and deadlines. Get a sense of how much control you want over the process and then decide on an approach and agency that fits your needs best. Families wishing to adopt a child who resides outside of the USA must work with a Hague Accredited/Approved licensed child-placing agency. This is true for families adopting a relative, and for families adopting a non-relative child living in an institution or orphange. The Universal Accreditation Act (UAA) is a game-changer in International Adoption. 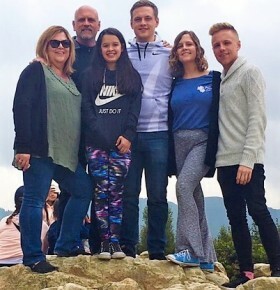 The single biggest 'take home' from this change is prospective adoptive parents will need to reverse the adoption process they may have known before July 14, 2014 and choose their Primary Provider agency - FIRST. A Primary Provider is an adoption service provider (also known as an adoption agency) who has been accredited or approved by the Council on Accreditation . Your Primary Provider will help you find an approved homestudy agency in your state of residence. To better understand why you must choose your Primary Provider first, please read our in-depth article on this topic. Which countries do you qualify to adopt from? Answering that question is the first step to take on the road to building your family through adoption. 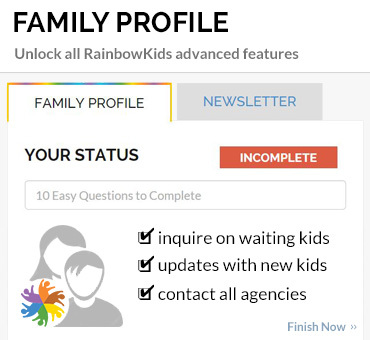 The RainbowKids Country Guidelines area contains information on every country that has an adoption program open to US citizens. 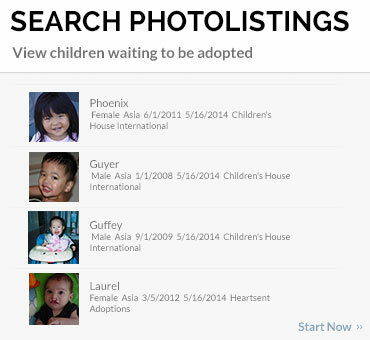 Which Adoption Service Providers have programs in the countries in which you qualify and are interested? 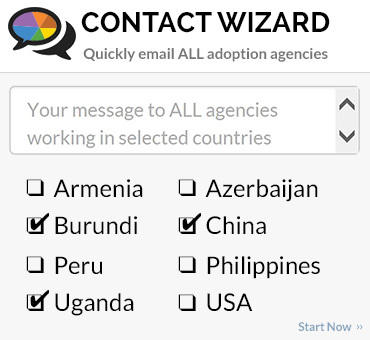 The RainbowKids Adoption Agency and Service Provider area has an easy search feature to find all agencies working in specific countries, an overview of each ASP, and quality information to assist you in your research. • What kind of children does the agency place (ages, backgrounds, etc.)? • How many children has the agency placed in each of the past few years? • What kind of training is provided for parents? • What criteria does the agency use to match children with families? 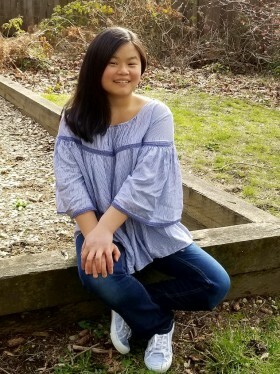 • What type of adoptive parents does the agency seek? • How long, on average, will an adoption through this agency take? • Does the agency have an Orphan Care or Humanitarian focus? • What type of post-placement support is available for families after adoption? • How much does a completed adoption cost — in total and each part? • Am I able to easily find families online that have used this agency for the same country from which I wish to adopt? 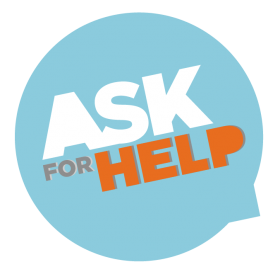 • How often can I expect contact from the agency, through email, social media, and phone, during the adoption process? • Can the agency provide references from parents who recently adopted? 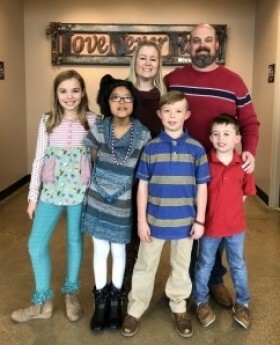 • What post-adoption resources does the agency provide to connect families to one another? You've gathered your information, read the websites and joined the social media of several agencies that you believe may be a good match for your family, and spent time researching all of your options to adopt a child. You've checked references, licensing, and have all of the facts in front of you. 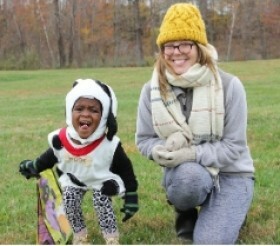 Many families express that this is the most stressful moment in their adoptions: making the final decision on partnering with an Adoption Service Provider. If you haven't spoken directly to the person who will be working with your case at each agency, do so now. This is a relationship that you are building. Speak at length with a real person at each adoption agency. Give yourself a deadline for making the decision. Use a spouse or close friend as a sounding board, make a spreadsheet, pray and push through until one agency stands above all others as being the match you are seeking. And when you travel home with your child, be sure to send us a photo!